In this issue, we congratulate PARC on winning a City of Vancouver Award of Excellence, profile an ICORD trainee’s exciting Paralympic project, tell you about an important funding announcement, recap a few exciting events, introduce you to one of ICORD’s volunteers, and much more! 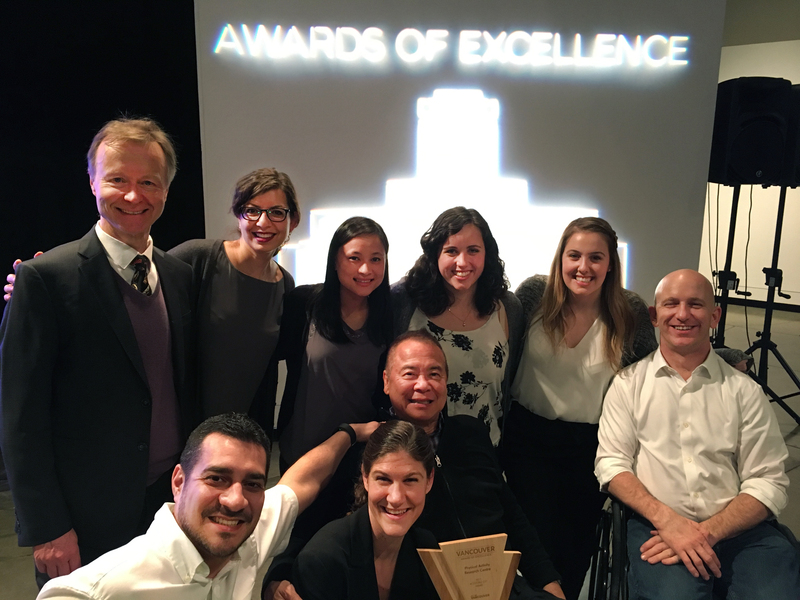 I CORD’s Physical Activity Research Centre (PARC) was honoured with the 2017 Accessible City Award at the City of Vancouver Awards of Excellence ceremony on February 28.These awards recognize outstanding achievements made by individuals and organizations, and celebrate excellence in five categories of achievement that benefit everyone by making Vancouver more green, healthy, diverse, and accessible.PARC is a community-based research facility within ICORD. PARC’s goal is to advance research to understand the best strategies for providing opportunities for people with complete or partial paralysis due to spinal cord dysfunction to participate in physical activity. The first of its kind in Canada, PARC is an innovative research gym, equipped with fully-accessible, state-of-the-art exercise equipment. Members of the SCI community use PARC to exercise and improve their well-being in an inclusive and supportive environment, while contributing to research into better rehabilitation strategies. PARC Coordinator Megan Brousseau and research participant/volunteer Kyle Gieni accepted the award at the ceremony in February. They were accompanied by ICORD’s Director, Dr. Wolfram Tetzlaff, as well as several research participants and staff members. At the same ceremony, former BC Premier Michael Harcourt was awarded the Freedom of the City, which is the highest honour bestowed by the City. Mr. Harcourt served as the Chair of ICORD’s Community Advisory Panel from 2002 until 2008. 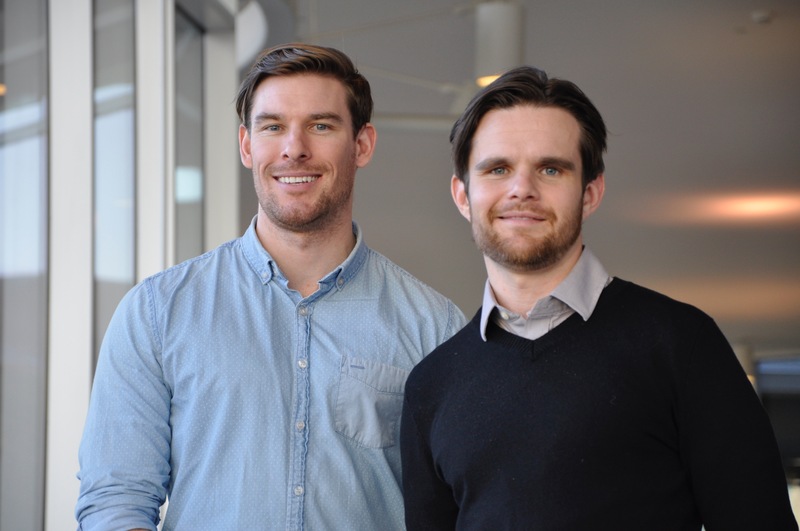 ICORD PhD student Cameron Gee has won the Four-Year Fellowship from the University of British Columbia’s School of Kinesiology and a Mitacs Accelerate Award, both of which will help bring an exciting collaborative research project to ICORD. Under the supervision of ICORD Principal Investigator Dr. Christopher West, Gee will receive funding and support from Mitacs, the Canadian Sport Institute Pacific (CSI Pacific) and Wheelchair Rugby Canada to study methods and interventions for enhancing the cardiovascular function and sport performance of Canadian athletes with SCI. The goal of the project is to help Canada’s wheelchair rugby team prepare for the Tokyo 2020 Paralympics. CSI Pacific is an organization dedicated to providing support and training for Canada’s athletes to strengthen their performances in competition. 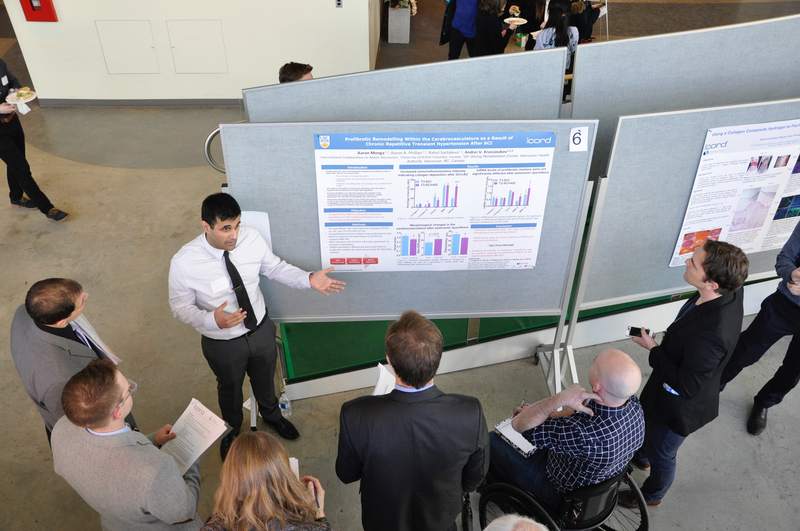 Gee has researched cardiovascular performance in SCI athletes previously at ICORD with Dr. West and ICORD PI Dr. Andrei Krassioukov in studies of elite Paracycling at the 2013 World Championships in Baie Comeau and of wheelchair rugby athletes with SCI at the 2015 Parapan Am Games in Toronto. Cardiovascular dysfunction is a common side-effect of SCI and may be a major limiting factor to performance in the athletic population. Gee hopes that the knowledge gained from this collaboration will not only benefit the rugby team but also extend to other athletes with SCI and have implications for people with SCI living in the community. Gee began working with wheelchair rugby athletes during his Master’s degree in Exercise Science at the University of Queensland. He arrived to Canada in 2012, emigrating from Australia. When he was on a walk passing the Blusson Spinal Cord Centre he learned about ICORD and discoverd that Dr. Krassioukov was looking for a clinical research coordinator, a position he was hired for shortly after. Since then he’s been involved in numerous ICORD projects on cardiovascular health and SCI. In 2016, he began his PhD and the current project with Dr. West. 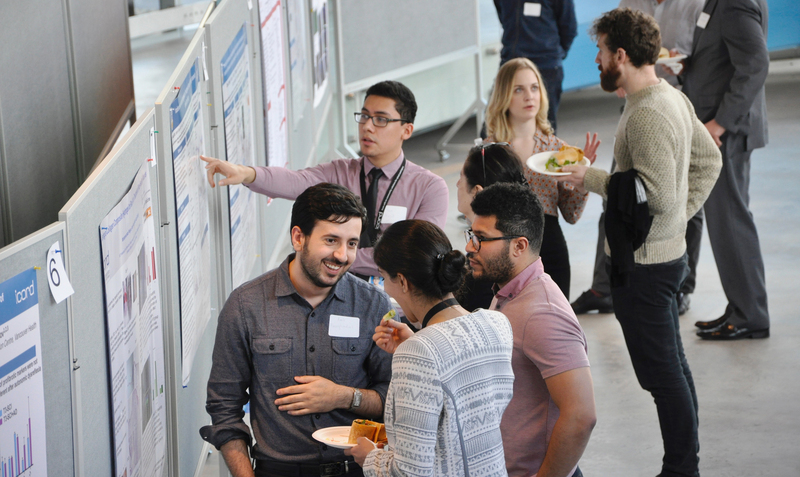 The Mitacs Accelerate award matches students and organizations outside academia to help build research partnerships and give students the opportunity to work outside an academic environment while pursuing their degrees. Dr. John Kramer has had a strong start to 2017 with his lab winning two major awards. CIHR will be funding Dr. Kramer through the European Union’s ERA-NET NEURON program. The award will support Dr. Kramer to lead a four-nation team on the project “Repurposing acute therapies for enhanced recovery after spinal cord injury.” The team consists of Dr. Frank Bradke (Germany), Dr. Catherine Mercier (Quebec), Dolors Soler (Spain), and former ICORDian Dr. Armin Curt (Switzerland). The Kramer lab will also receive funding from the International Foundation for Research in Paraplegia for research on “High throughput of clinical trial data: how commonly used drugs affect neurological outcomes.” Both of these awards relate to Dr. Kramer’s leading work in drug repositioning in the field SCI. “Our goal is to expedite translation by exploring new models,” says Dr. Kramer. “Rather than relying on animal experiments, we test for possible effects in humans using existing observational and clinical trial data.”In a recent study published in Cell Reports, the Kramer team demonstrated that administering anticonvulsants to SCI patients within one month of injury significantly improved their motor recovery, while later administration had no significant effect. This study focused on a drug used to treat pain after SCI, but instead of examining the pain-relieving effects, the Kramer lab is examining if they can be repurposed to improve recovery of muscle strength. 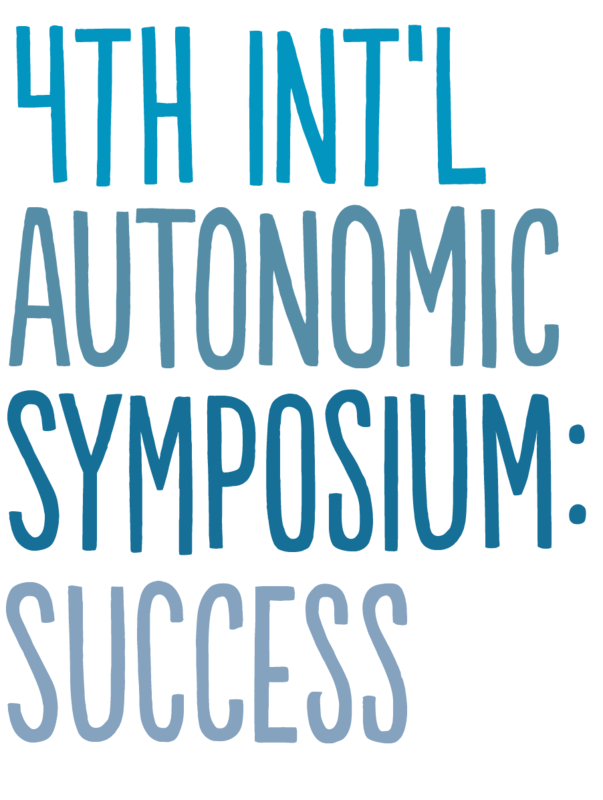 On February 22, ICORD PI Dr. Andrei Krassioukov hosted the 4th International Autonomic Symposium (IAS) at the Blusson Spinal Cord Centre. 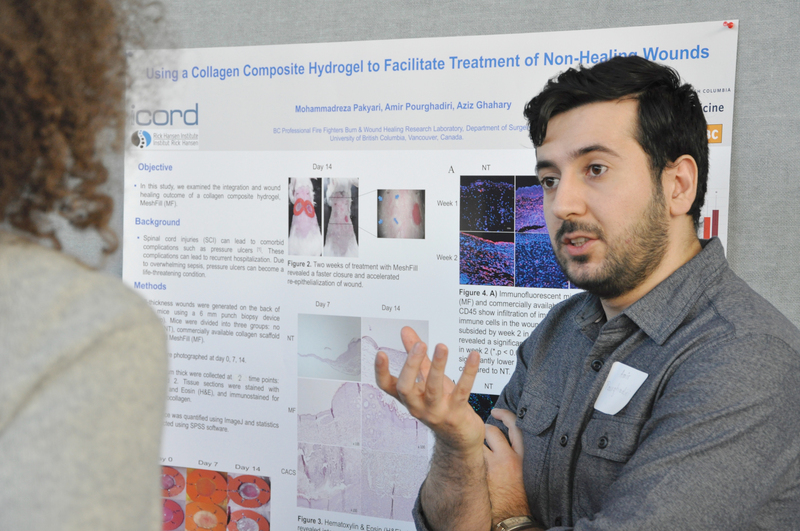 More than 180 people from around the world attended to discuss the topic of “Interfacing Man and Machine: Neuroprosthetics for managing autonomic function after spinal cord injury.” The event consisted of three programs highlighting work on autonomic dysfunction by researchers, health care providers, and community members. The IAS’s goal was to bring all of these groups together to inform and harmonize with each other’s work. The day culminated with a sold-out Café Scientifique, which was a lively discussion between all attendees. 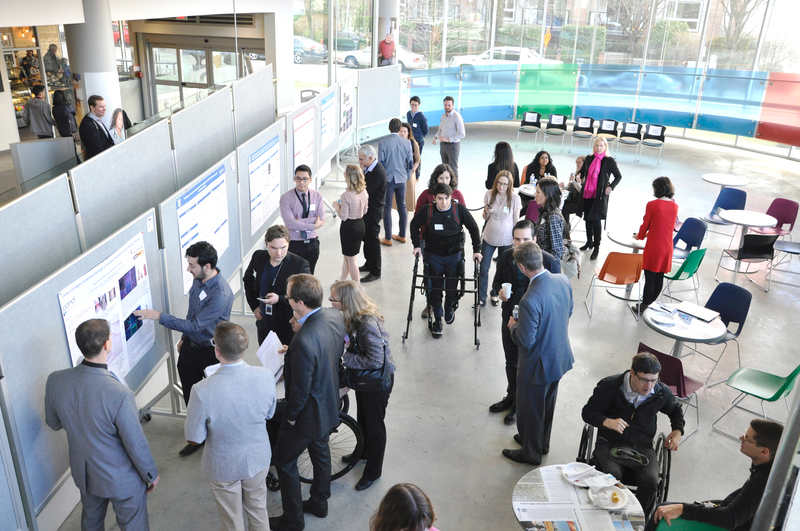 Learn more about the event below in Rick Hansen Institute Partner News, and if you missed the Café, you can stream it from the RHI’s Facebook page. Some visiting researchers and ICORDians at the conference. 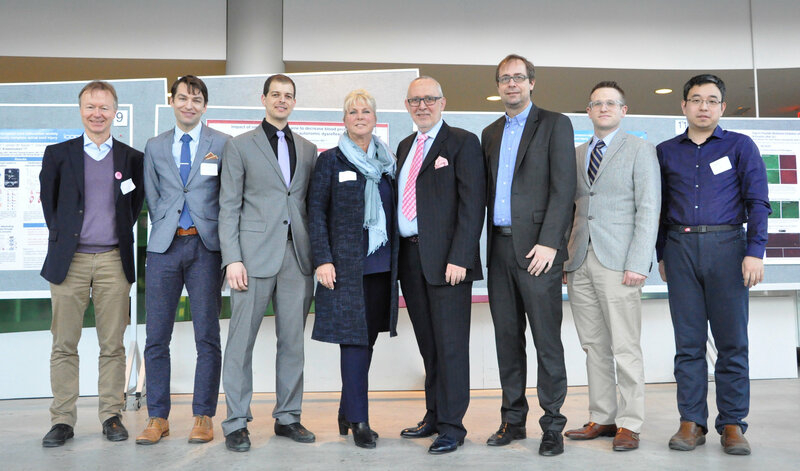 L-R: Dr. Wolfram Tetzlaff, Dr. Ryan Solinsky, Mr. Pierre Asselin, Dr. Stacy Elliott, Dr. Andrei Krassioukov, Dr. Klaus Krogh, Dr. David Darrow, Dr. Nan Liu. Prizes were given for the top three oral and poster presentations. Additionally, the Dr. Andrei Krassioukov International Autonomic Award was given for the first time. This award recognizes the research achievement of a recipient who works in the area of autonomic dysfunctions and presents at national or international conferences. Judges: Dr. Klaus Krogh, Dr. David Darrow, Dr. Vanessa Noonan, Mr. Pierre Asselin, Mr. John Chernesky. 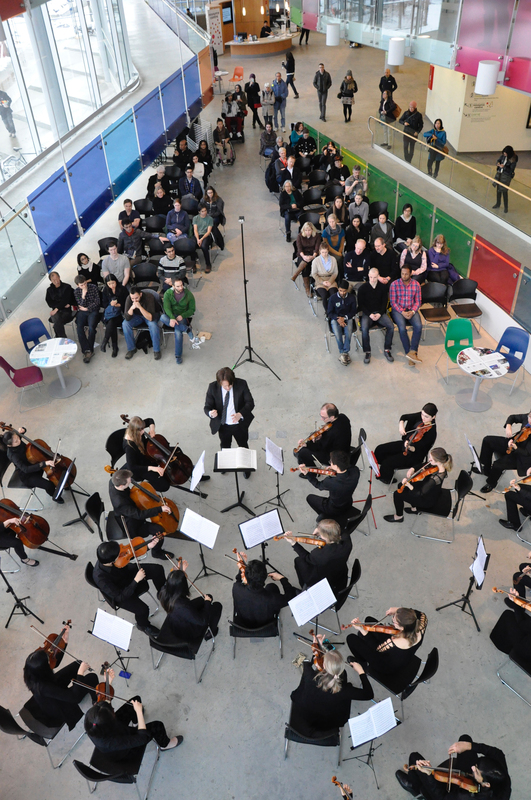 On a snowy February 3, the UBC Chamber Orchestra visited the Blusson Spinal Cord Centre atrium to perform some beautiful music. 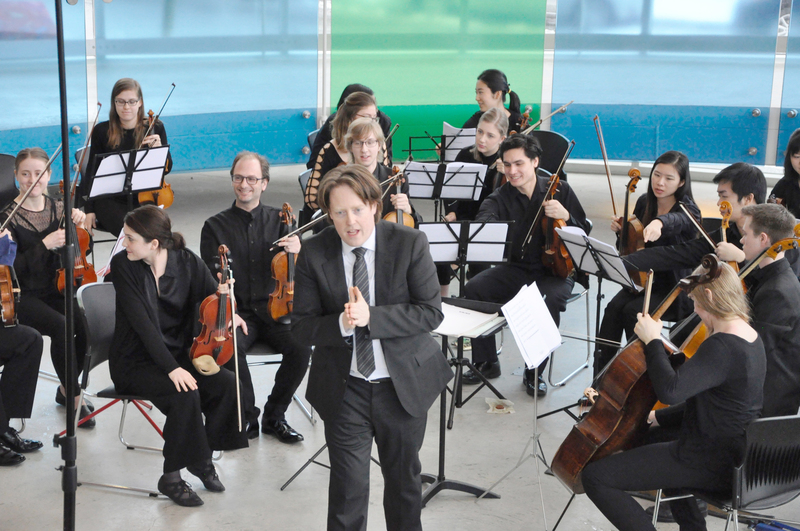 Conductor Jonathan Girard took us through pieces by Canadian composer Ann Southam and Pyotr Ilyich Tchaikovsky in a free lunchtime concert. 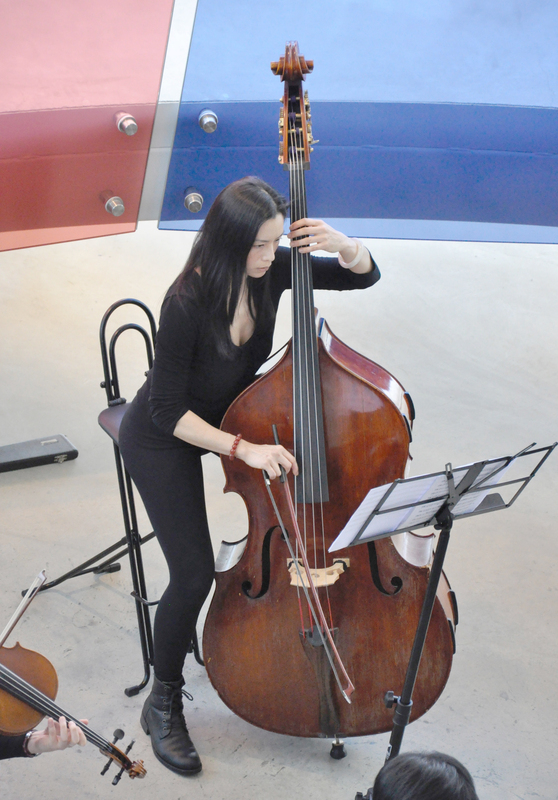 You can watch a video of the performance on ICORD’s Facebook page. 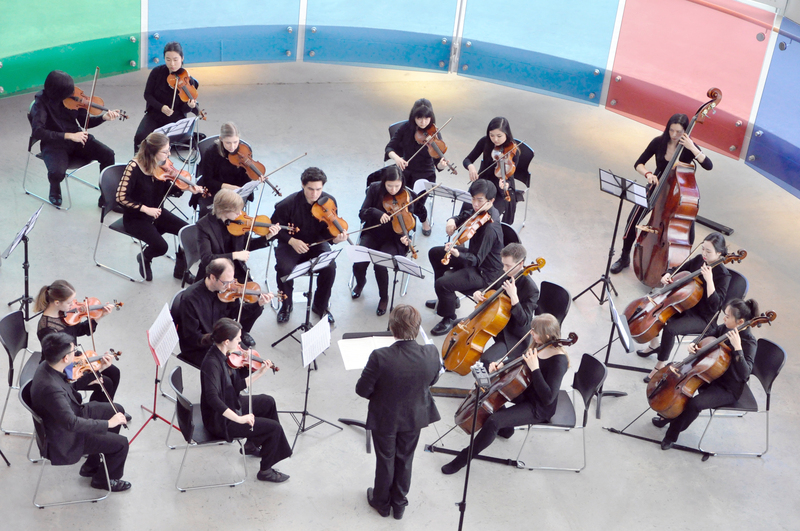 We hope this is the first of many more performances! Below are pictures from the day. Armita Shadgan joined ICORD as a volunteer at the Resource Centre in the spring of 2016, and she was named Volunteer of the Month this February! Armita received the honour for her lay summary of ICORD PI Dr. Janice Eng’s paper published in the journal Disability and Rehabilitation. 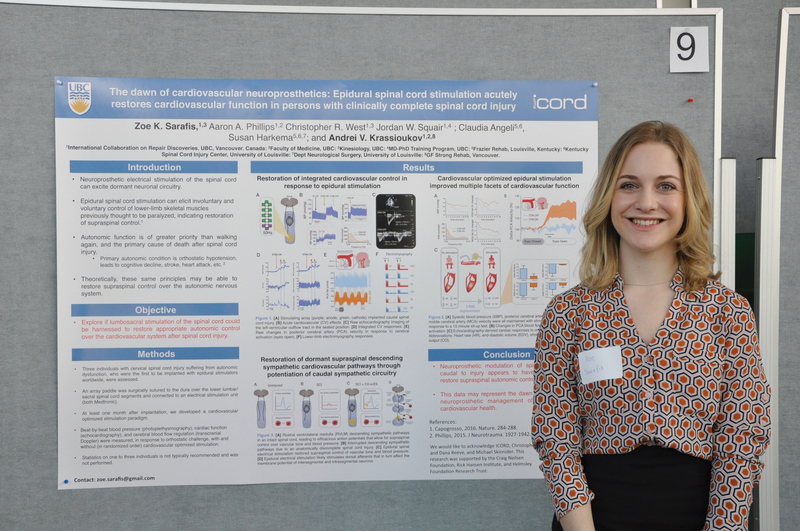 Armita is one of many volunteers who help communicate ICORD research by writing lay summaries on our SCRIBE blog, while assisting visitors to the Blusson Spinal Cord Centre with finding their way and learning about new research studies. 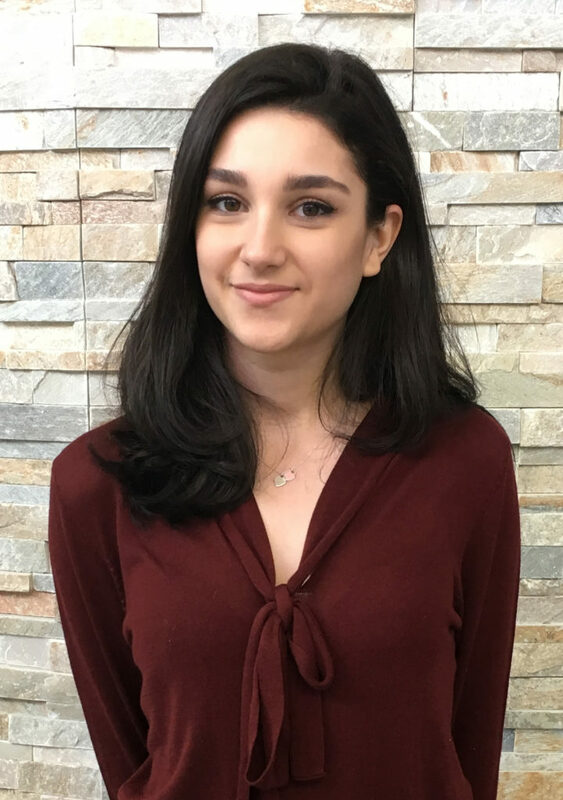 You may recognize her family name because she is the daughter of Dr. Babak Shadgan, an ICORD research associate who works with Dr. Brian Kwon. It was Dr. Shadgan who encouraged Armita to volunteer before she started with ICORD in May of last year. “It’s nice, not only because I get to learn even more about what goes on at ICORD in terms of research, but because he is able to give me a ride back home to Port Moody most Mondays!” she says. 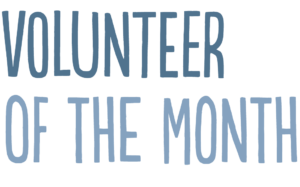 Check out our website or come visit us at the Blusson Spinal Cord Centre if you are interested in becoming part of our volunteer team. We’ve recently posted some interesting new research studies on the ICORD web site. 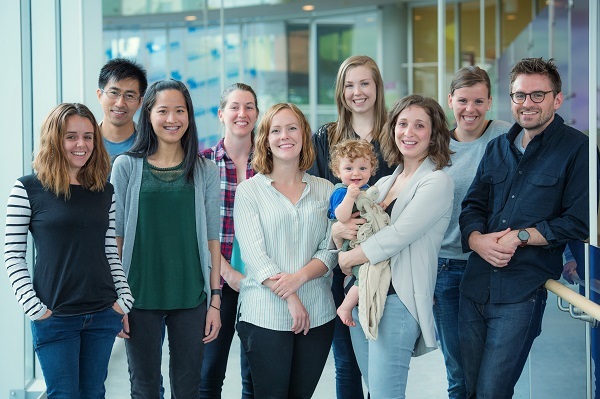 Vancouver Coastal Health Research Institute (VCHRI) has recently refreshed the Participate In Research website, which allows the public to search more easily for research participation opportunities. The unique directory categorizes research by health condition or body system, enabling potential participants to identify a research study or clinical trial relevant to their health areas of interest. Also sign up for the In It Together e-newsletter to receive information about participation opportunities every month. People say yes to research for many reasons. Whether you are healthy or have a medical condition, there are opportunities to participate. Would you lend a hand? Click the image below to watch a video to learn more about how you can help! 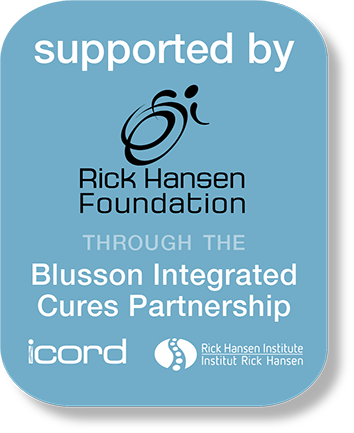 Spinal Cord Injury BC is hosting the “How We Do Stuff!” forum at the Blusson Spinal Cord Centre on April 22 from 10:30 AM to 4:00 PM. The topic of this SCI forum will focus on making, creativity, and hobbies. RSVP to rclarkson@sci-bc.ca, if you wish to attend! Theresa Thorson (Canada): coping with autonomic dysreflexia after SCI and the impact on her health, wellbeing and parenthood. After the talks concluded, participants had an opportunity to speak one-on-one with the panelists to ask about their research and experiences and share ideas to help direct the future of research. A beer and wine tasting was generously provided by Checkmate Artisanal Winery and Granville Island Brewing. Overall the Café Scientifique was a huge success with close to 100 people in attendance and the organizing committee is looking forward to hosting more events in the future. If you have a topic you would like to propose, please email RHI’s Consumer Engagement Lead, John Chernesky (jchernesky@rickhanseninstitute.org). You can also view the talks on RHI’s Facebook page. 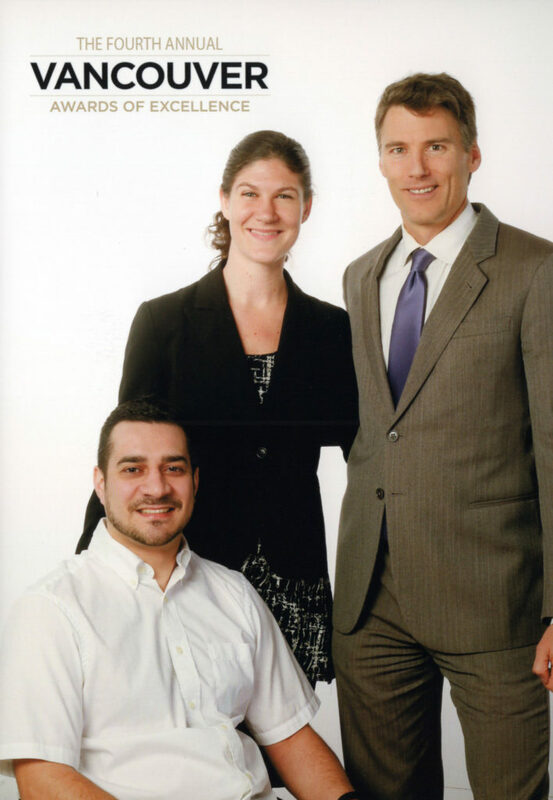 The Rick Hansen Foundation (RHF) received exciting news recently that the Province of BC is contributing $9 million dollars to the Foundation to further their work building accessibility in BC.The funding will help the Foundation expand its efforts to make the built environment in Canada fully accessible by 2050. It includes $5 million to develop and launch a pilot of a LEED-style Accessibility Certification program; and $4 million to create an Accessibility Fund to help accelerate accessibility upgrades for community organizations and businesses across the province. These upgrades will improve the lives of people with disabilities in BC, allowing them to access to public places and spaces across the province and to participate fully in their communities. RHF has created the Accessibility Certification Program to build on Rick Hansen’s original reason behind his journey – to remove barriers and liberate the potential of people with disabilities. 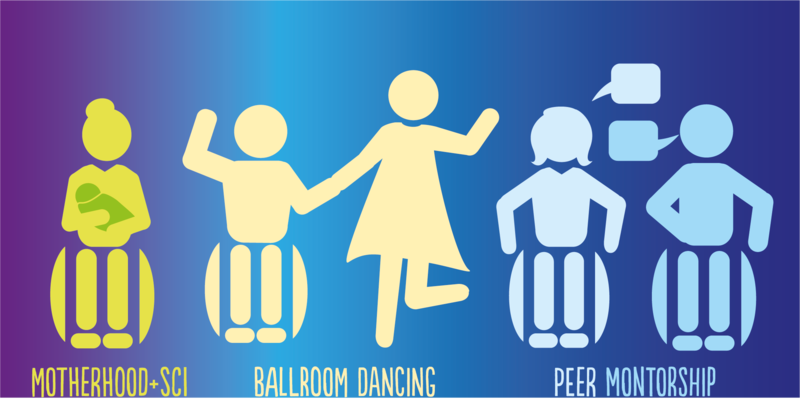 The Program measures a building’s accessibility, determines how it meets accessibility requirements, and acknowledges excellence in accessible built environments. A formal training and accreditation component is included to provide adults of all abilities with the knowledge and skills required to deliver consistent, professional assessments. 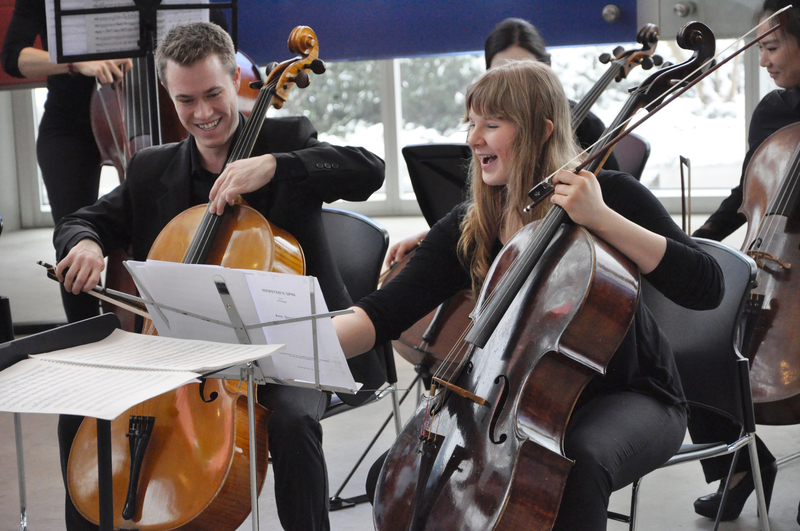 Find out more about the funding announcement here. Find out more about the RHF Accessibility Certification Program here. 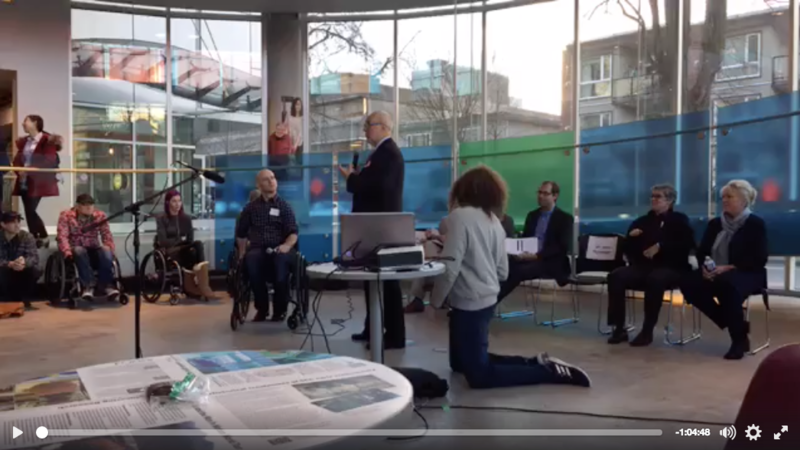 The Province of British Columbia announced in February that it was committing $5 million in support for the BC Spinal Cord Injury Network, which includes SCI-BC, the Neil Squire Society, BC Wheelchair Basketball, BC Wheelchair Sports Association, and The Sam Sullivan Disability Foundation. The money will support the development of assistive technology, improved best practices, education resources, and a number of other services aimed at improving the lives of people who live with disabilities.